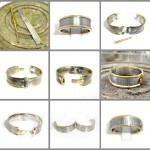 We start with the very finest high quality metal because we only want finish with a high quality product in the end. 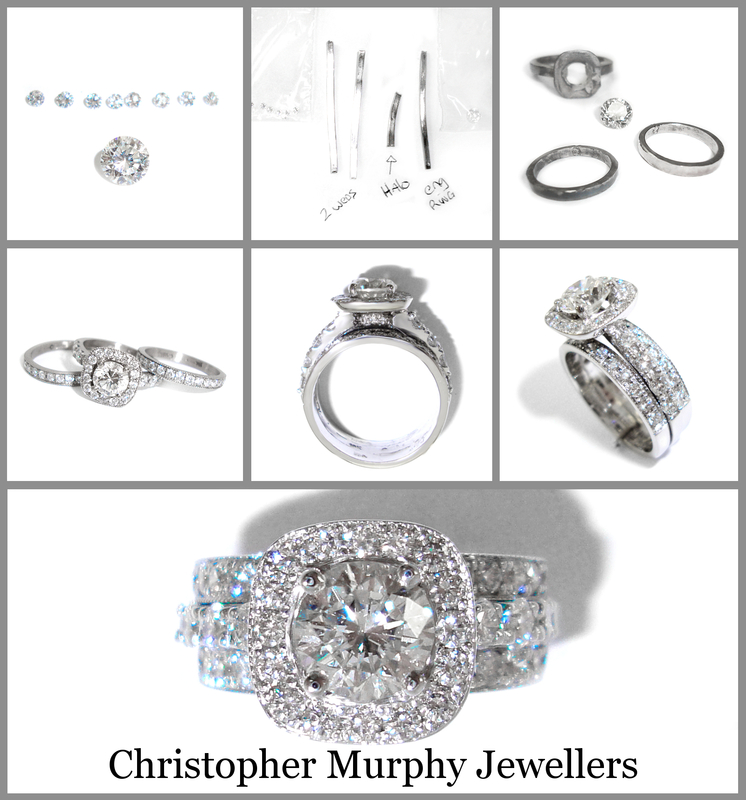 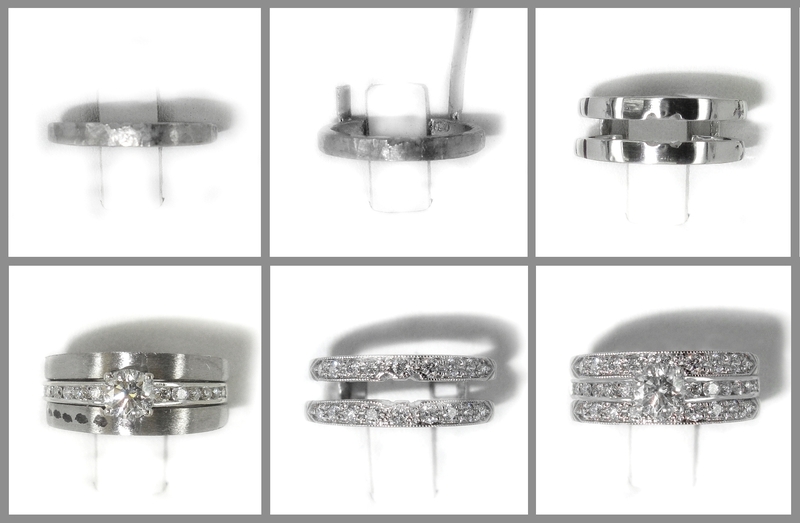 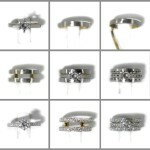 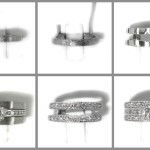 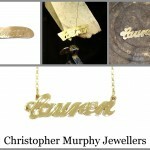 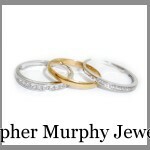 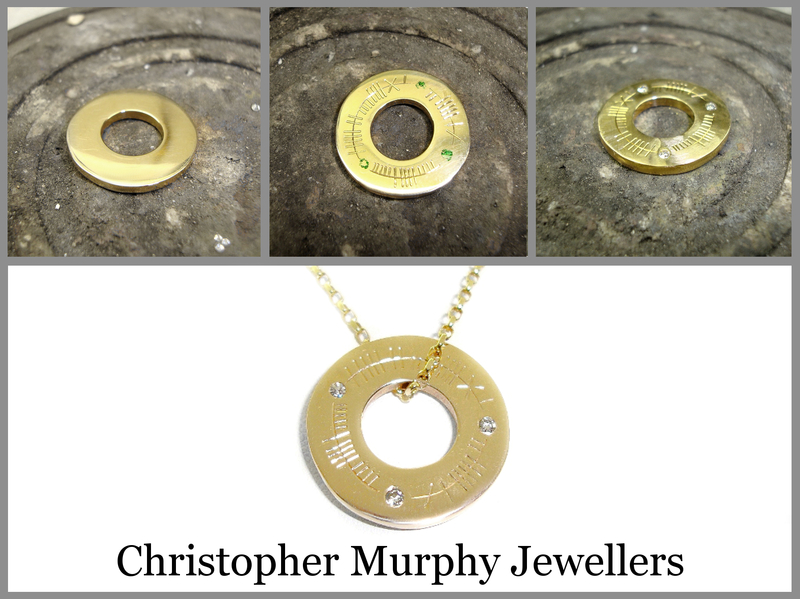 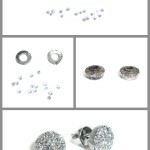 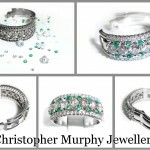 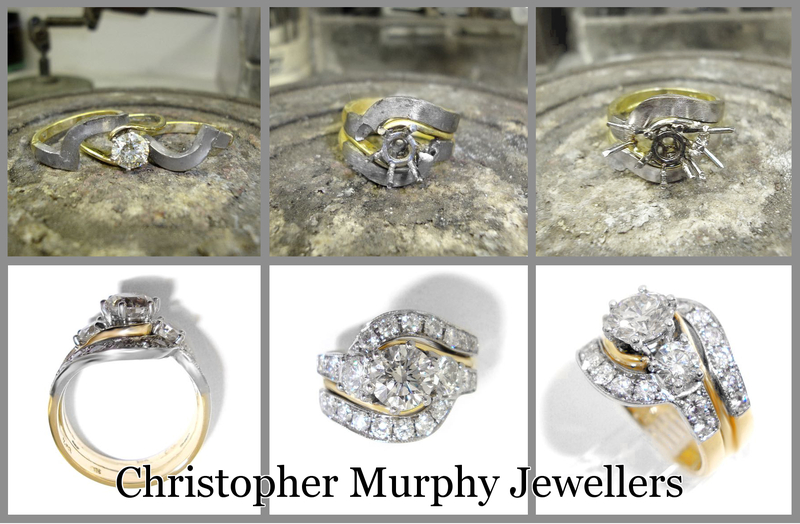 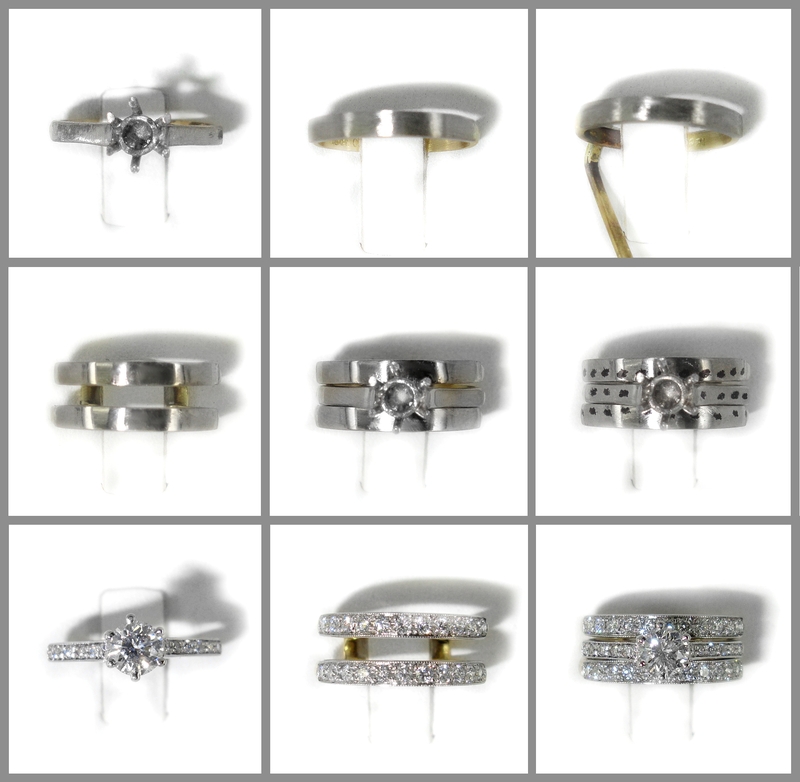 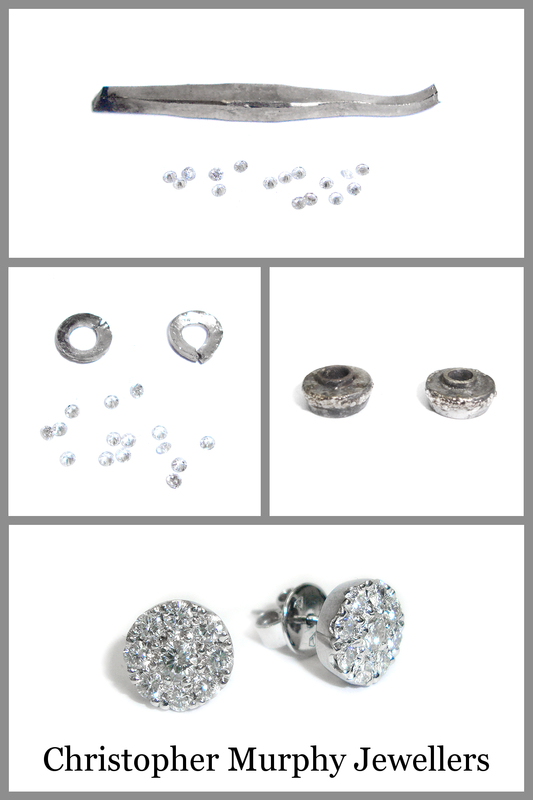 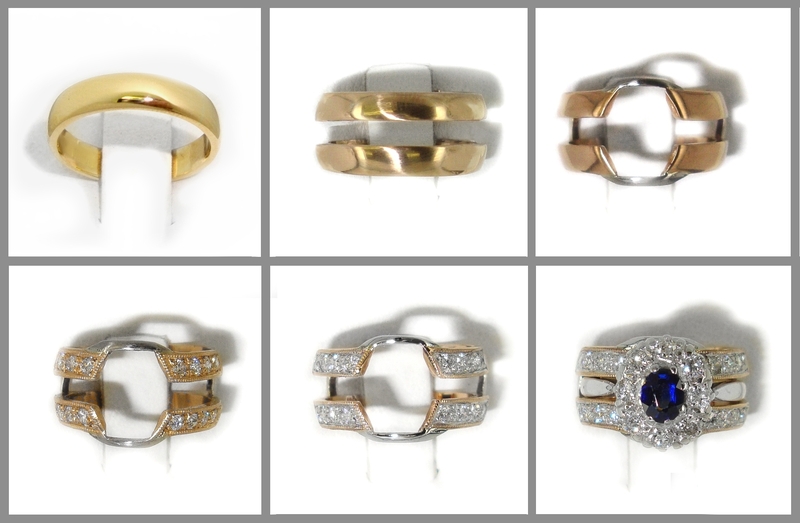 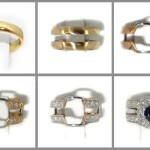 We generraly only work with Platinum, Palladium and 18ct Yellow, White and Rose Gold. 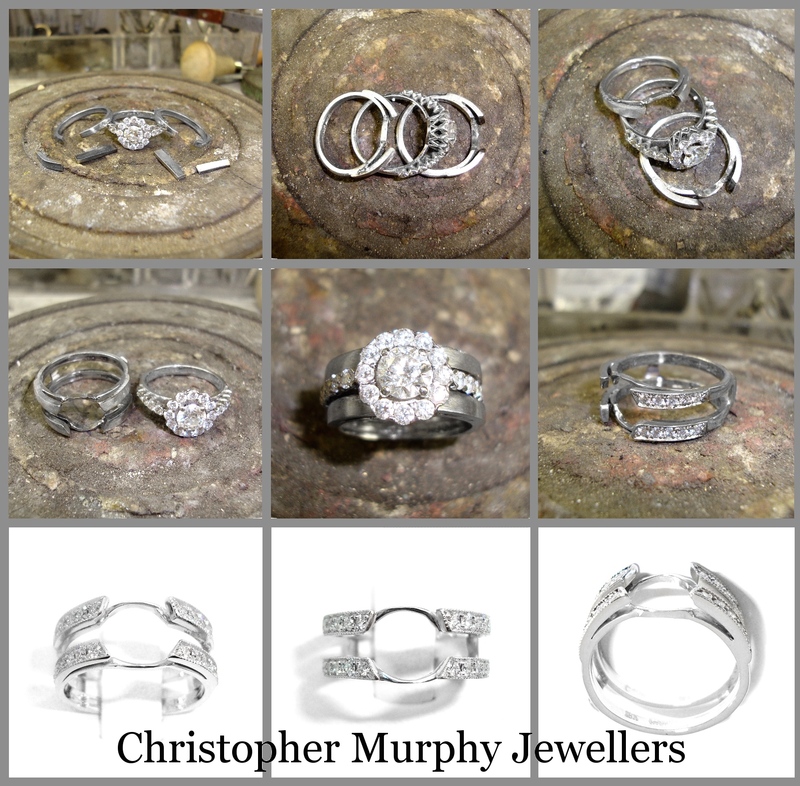 With our unique metal mix of 18ct white gold that has a high quantity of palladium, it gives the finished metal a whiter and brighter look. 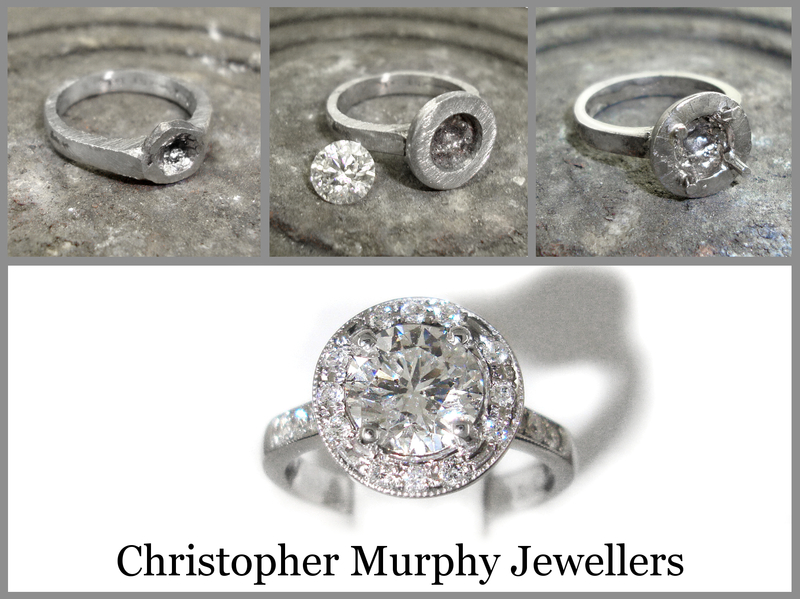 Our high palladium 18ct white gold also does not need to be Rhodium Plated as ofton as regular white gold. 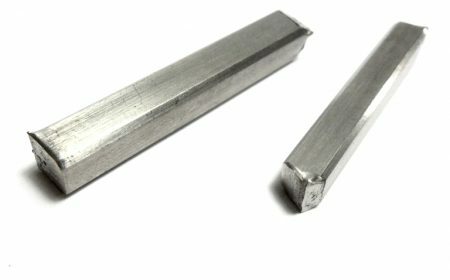 We Roll out the metal using our rolling mills to get the desired profile, width and height. 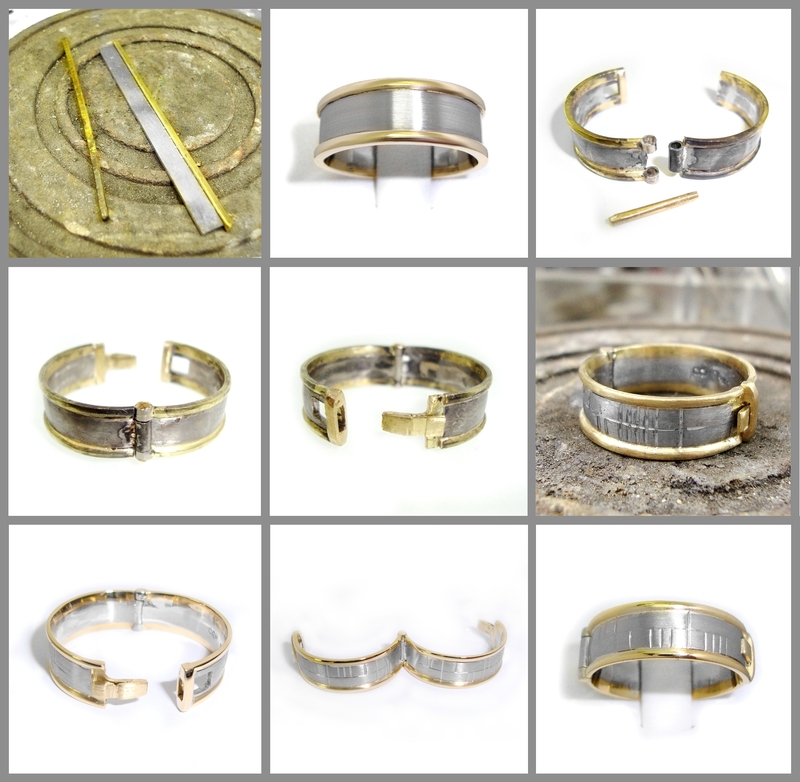 The shape is then formed with the use of the rolling mills again and our Laser iWeld machine. 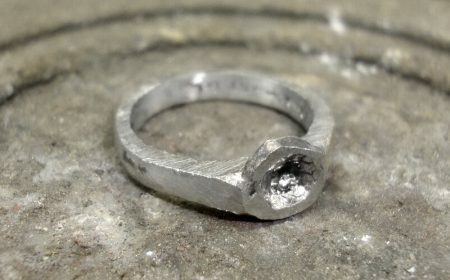 It is now a very rough ring shape which allows for hand working the metal with the hammer and files to get it to the next stage. 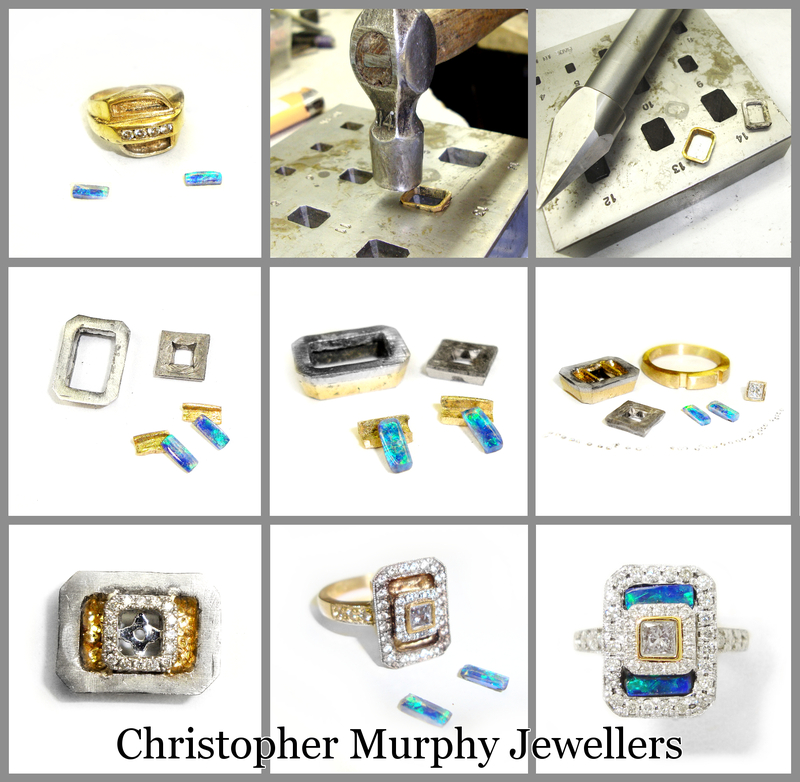 At this stage the exact size is formed and we then roll out more of the same metal to create the surround for the halo of diamonds that will sit around the centre stone. 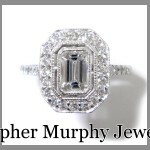 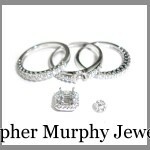 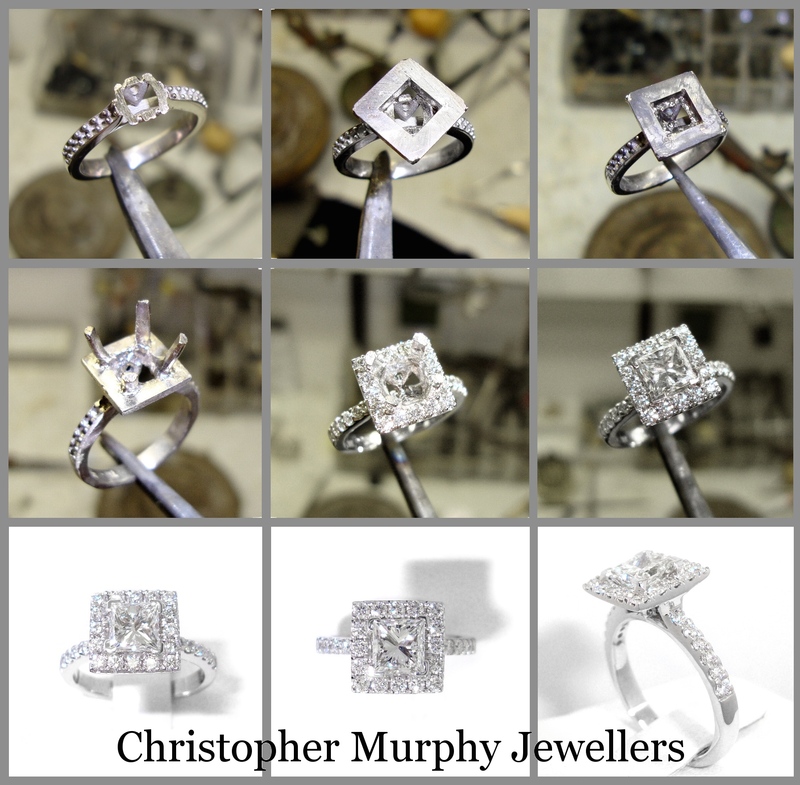 The diamond sizes are calculated and measured, then marked out. 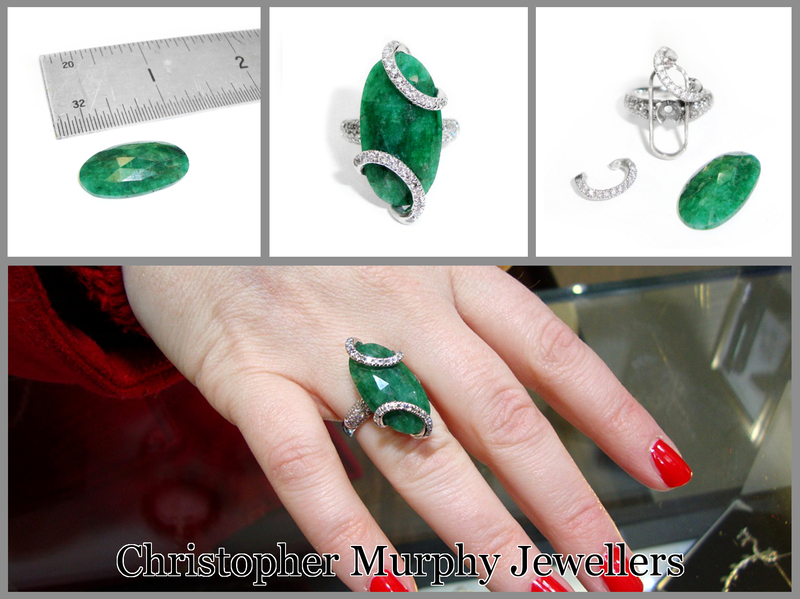 The finger size is also finalised at this stage. 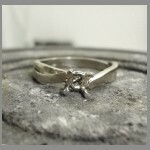 The four main claws are marked out and soldered into place. 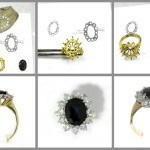 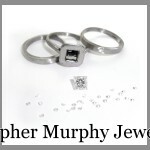 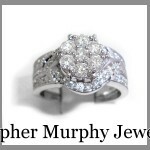 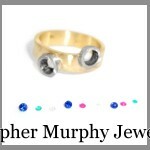 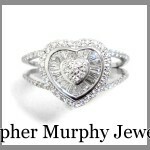 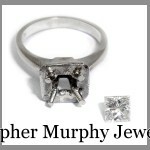 We usually make them bigger than required as the setting process will remove all the excess metal. 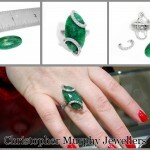 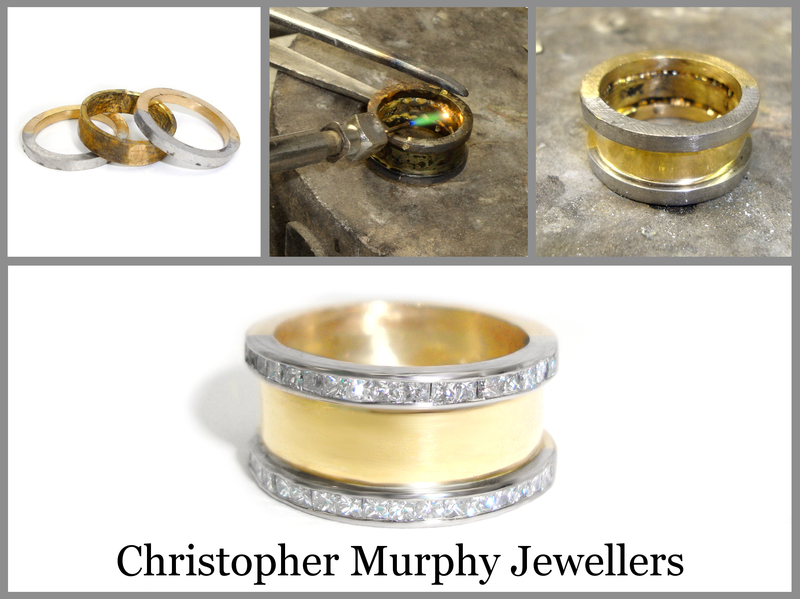 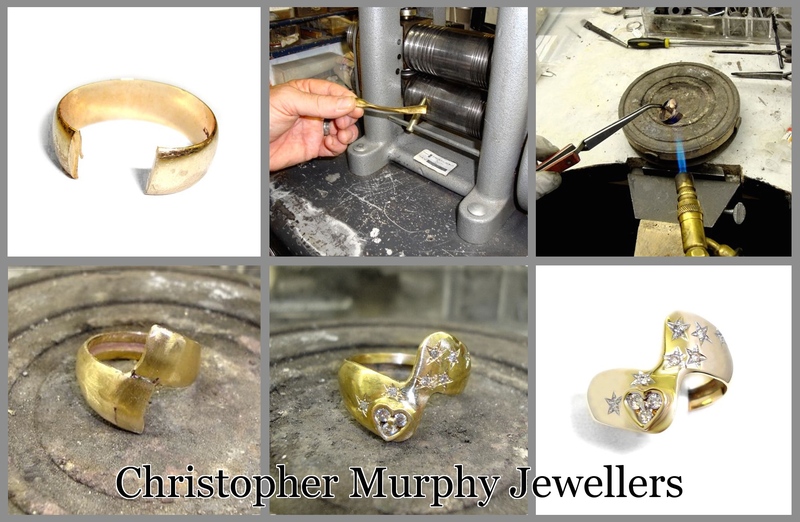 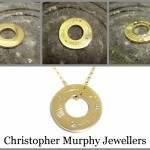 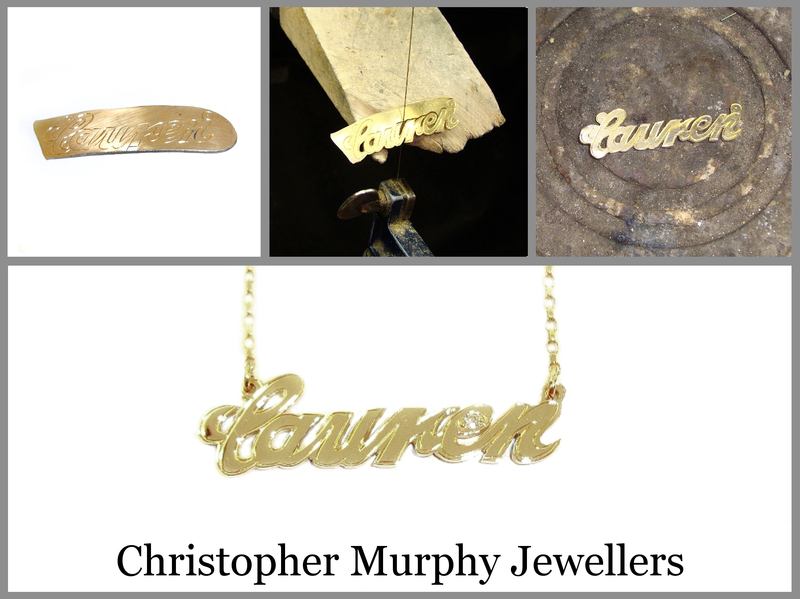 We use a fine emery paper at this stage to get the ring to start to look like a piece of jewellery. 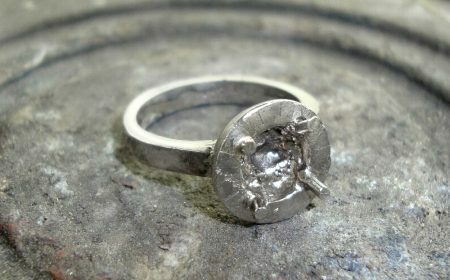 Here we have the finished ring. 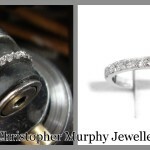 It has been polished to a mirror finish and Rhodium Plated to give it a high white chrome finished. 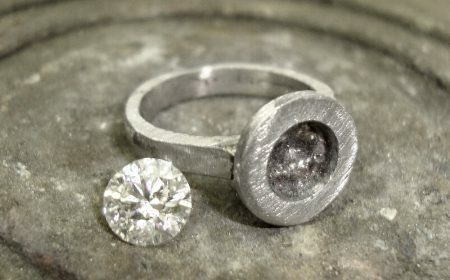 The finished is achieved using various grades of emery paper and using compounds and mops from hard polish to a soft finishing rouge compound. 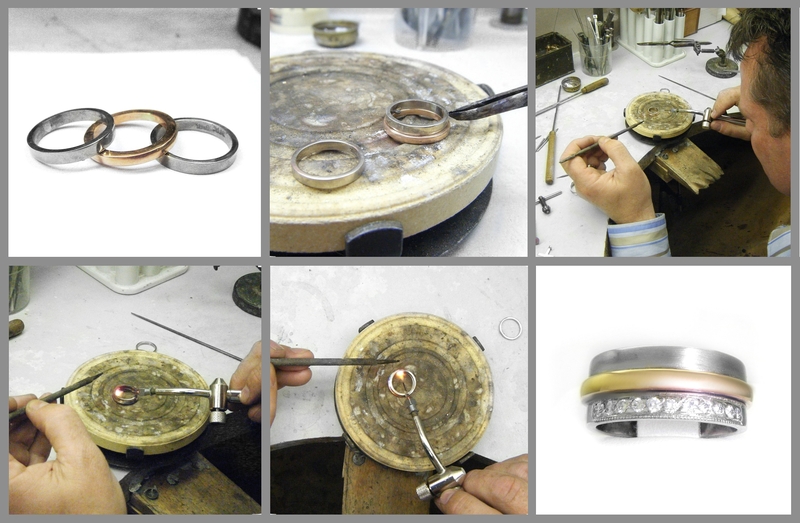 A final finish of a coating of rhodium is then electro plated onto the ring. 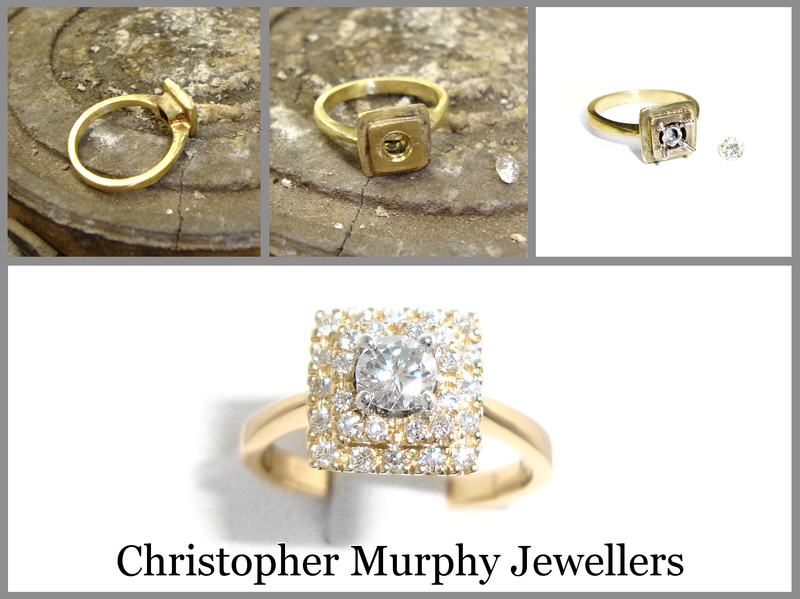 The finished ring is then presented to the customer in our customised wooden ring box. 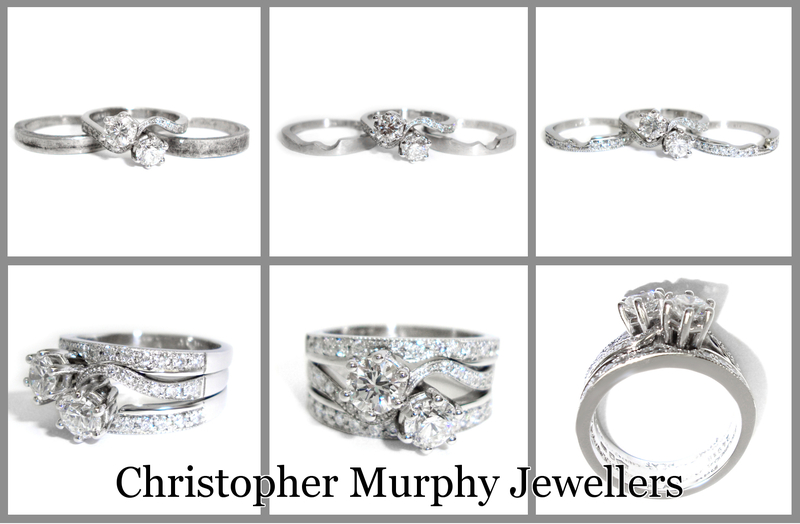 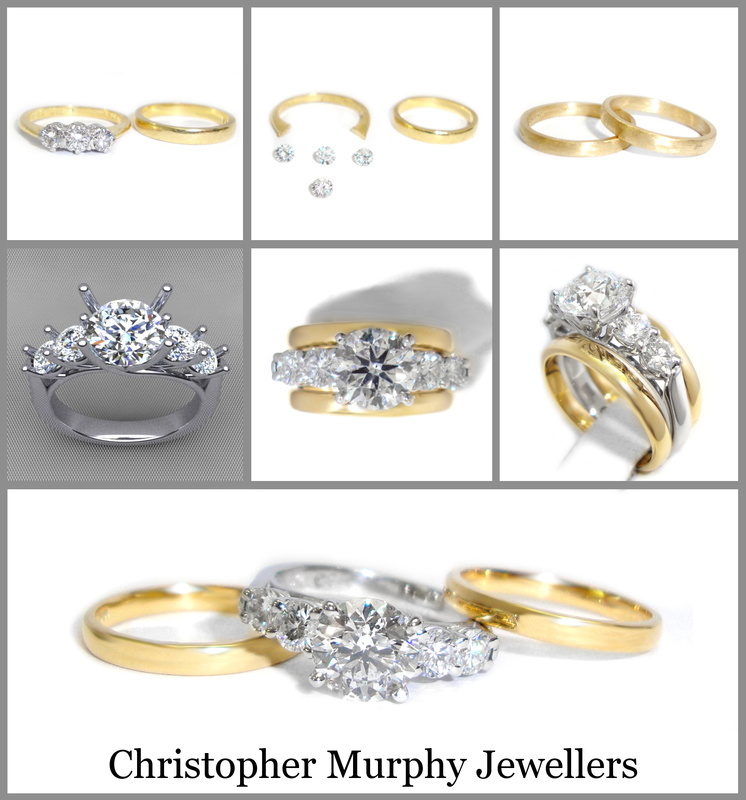 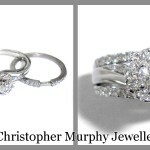 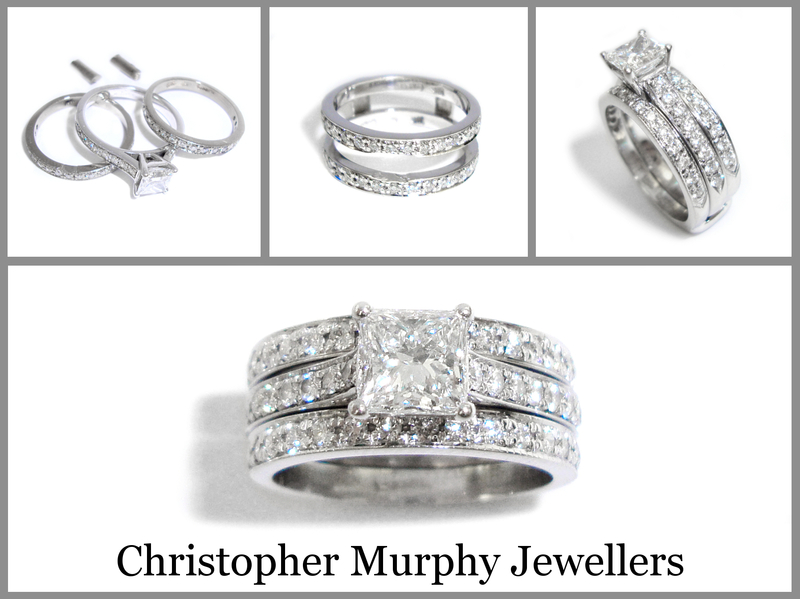 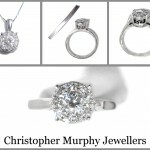 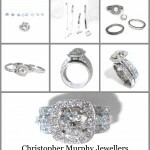 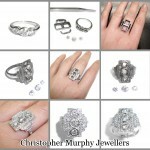 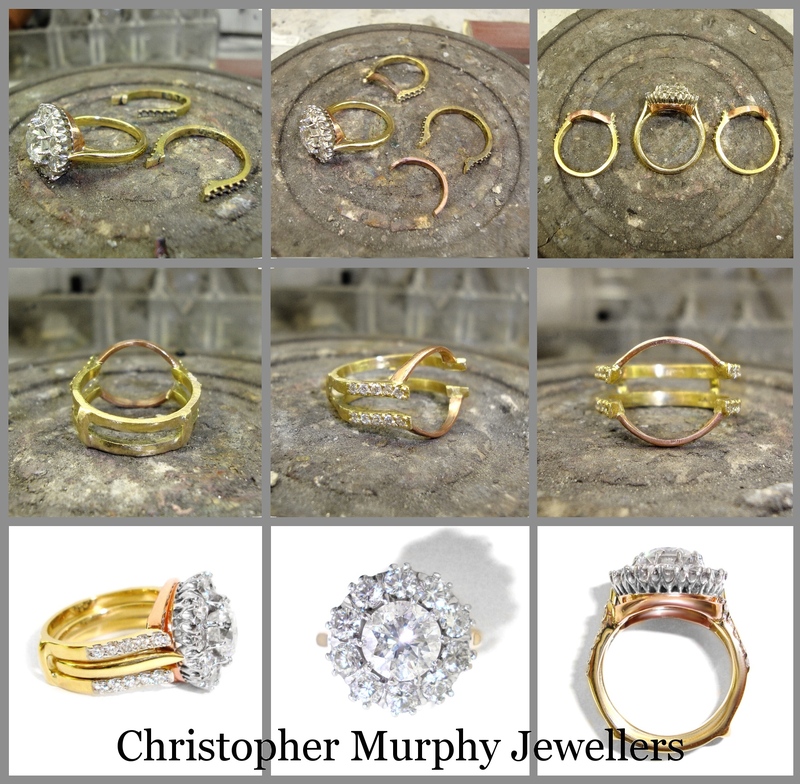 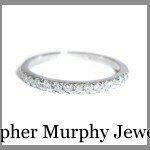 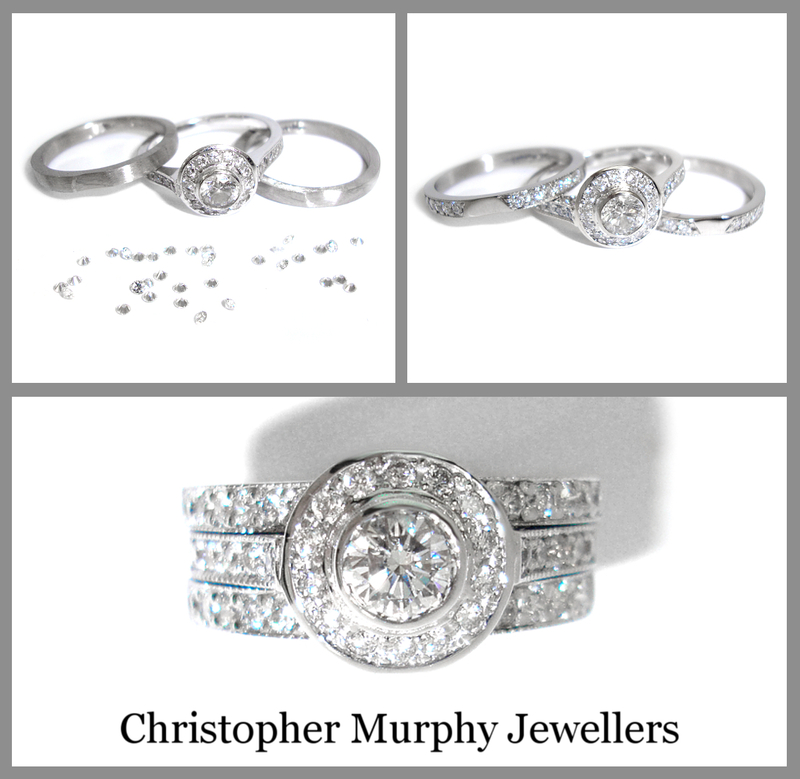 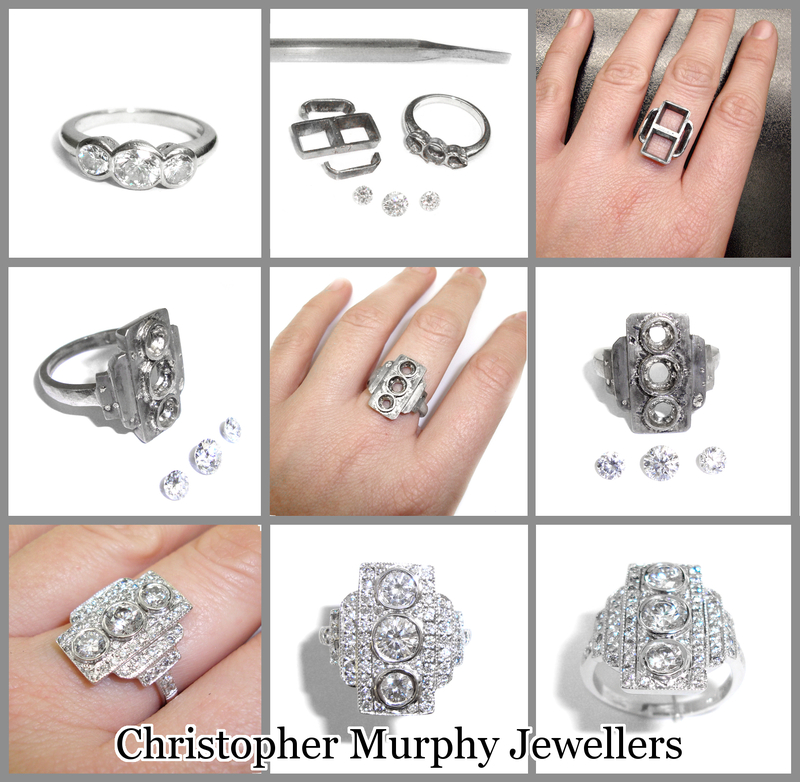 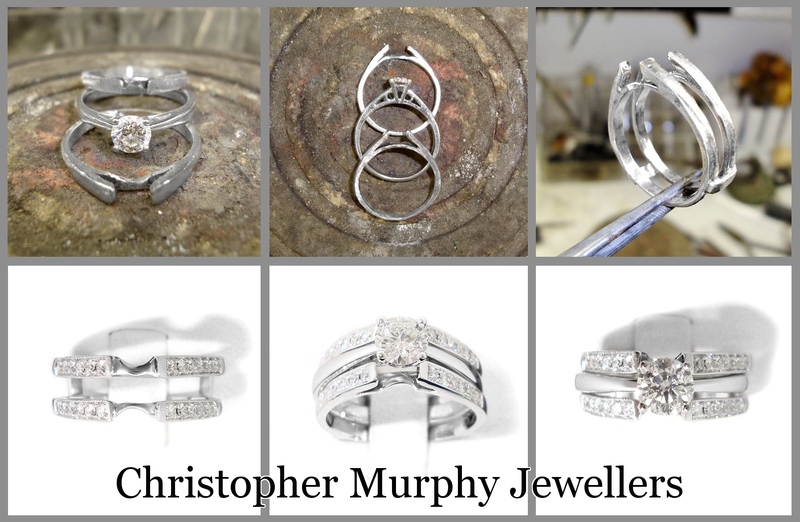 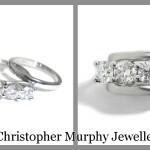 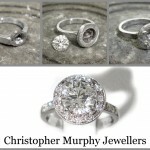 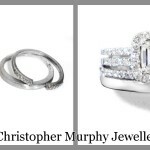 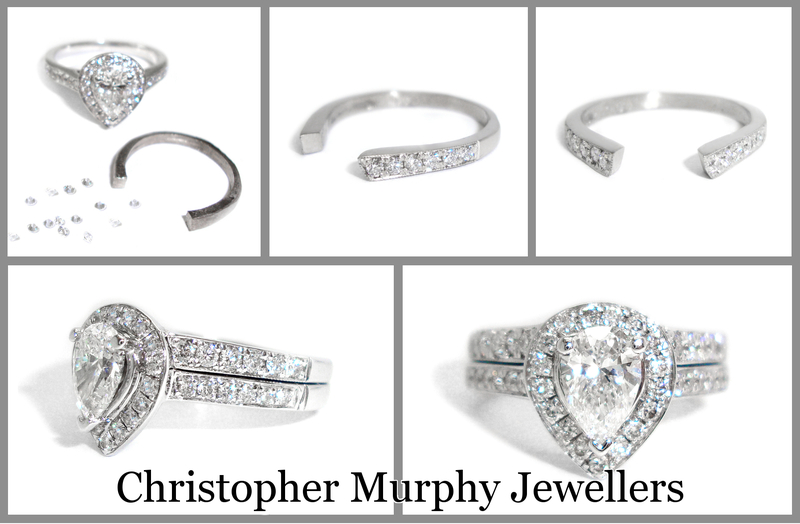 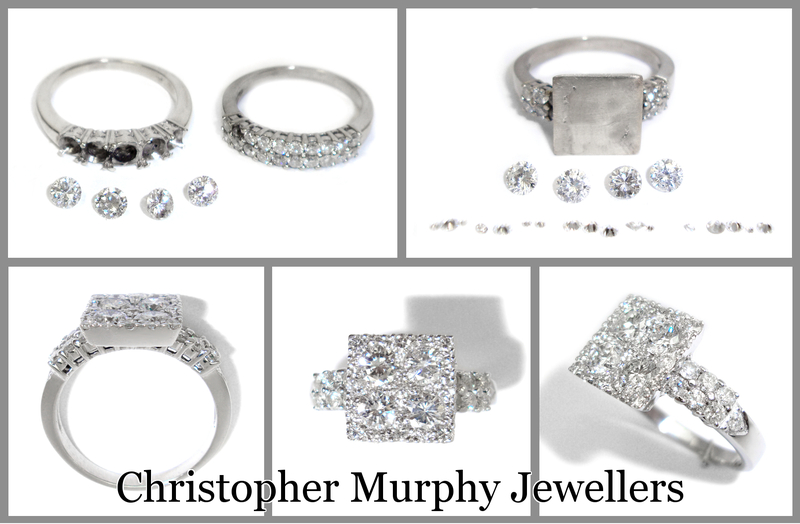 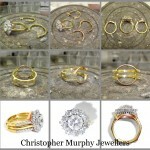 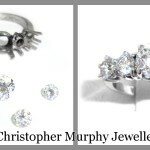 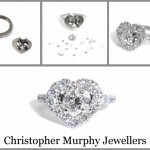 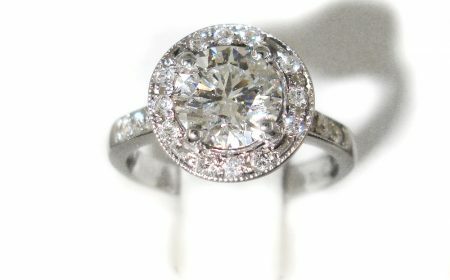 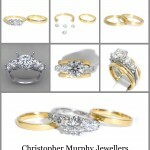 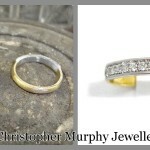 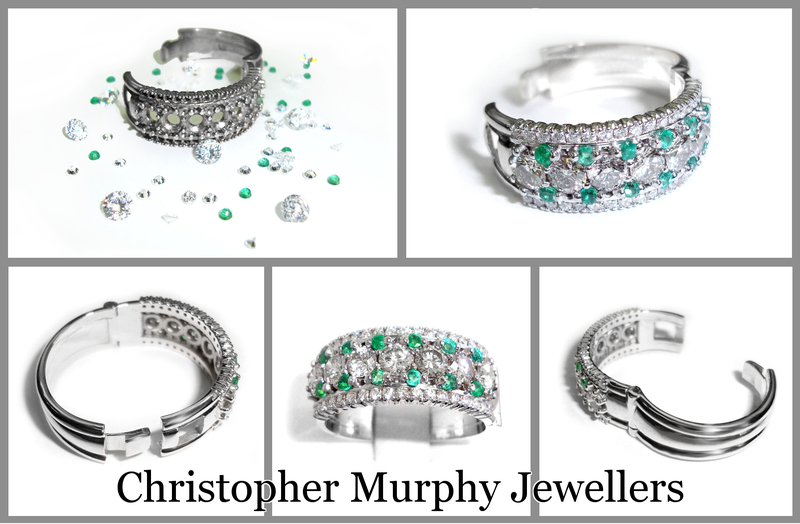 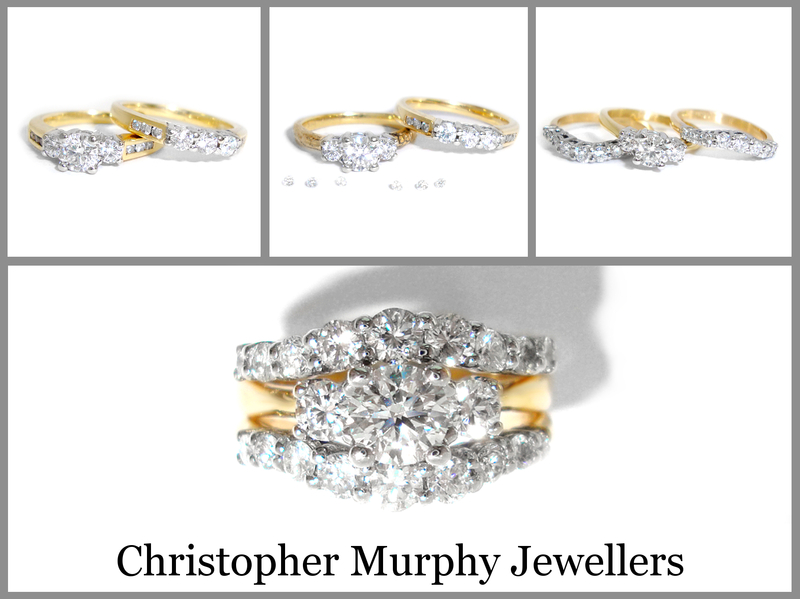 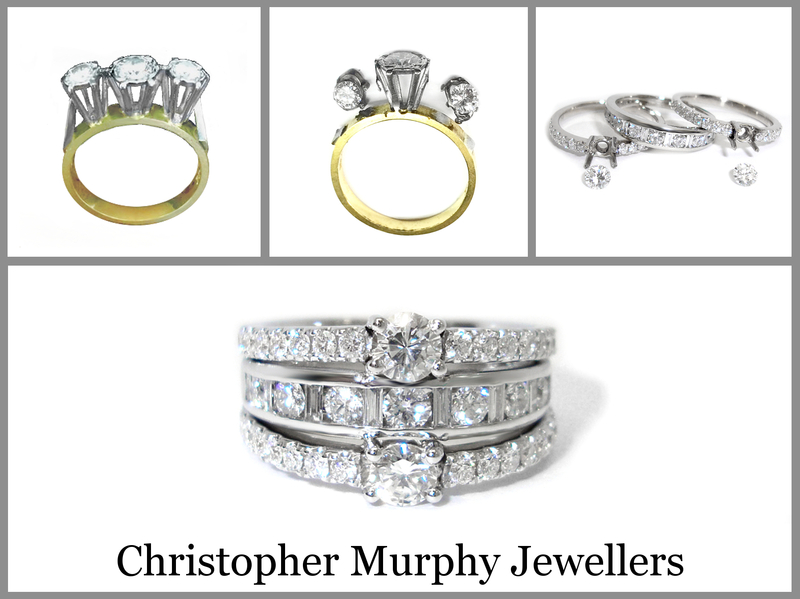 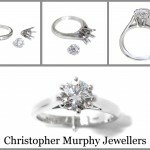 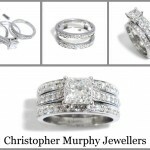 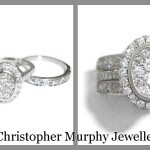 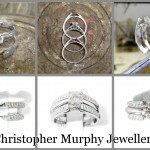 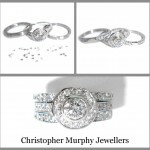 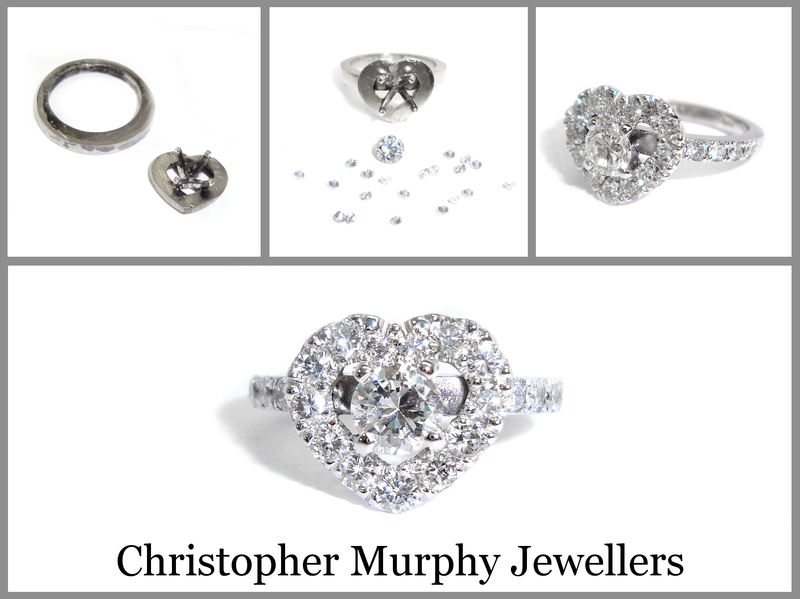 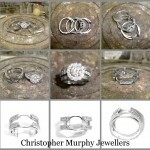 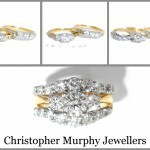 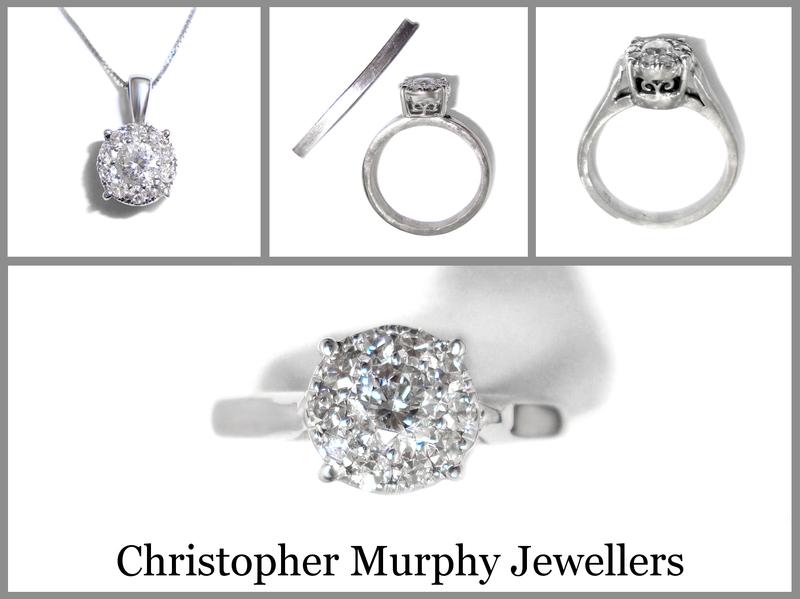 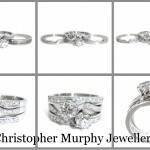 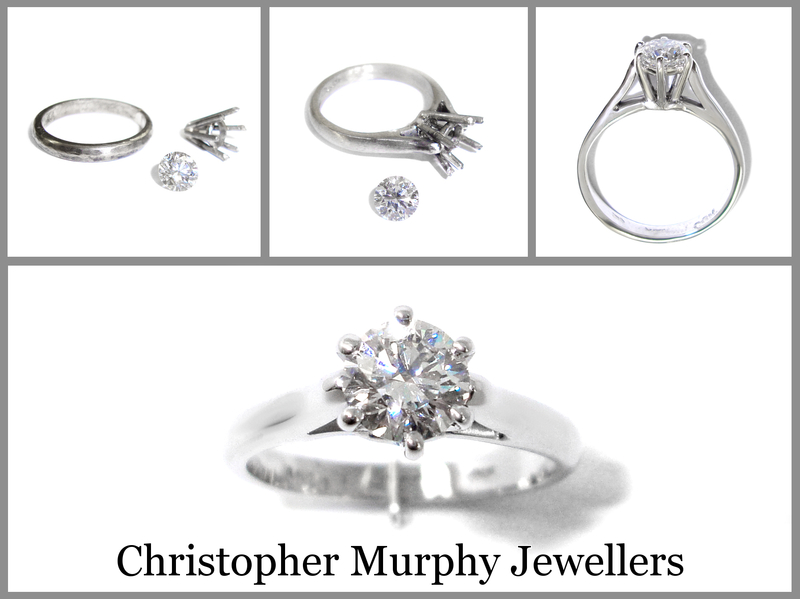 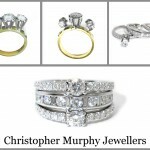 We handmake all Engagement, Wedding and Eternity Rings instore. 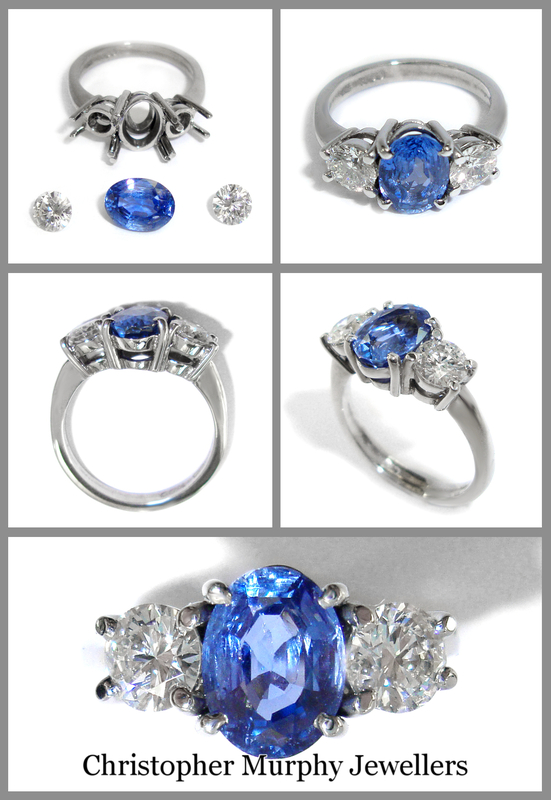 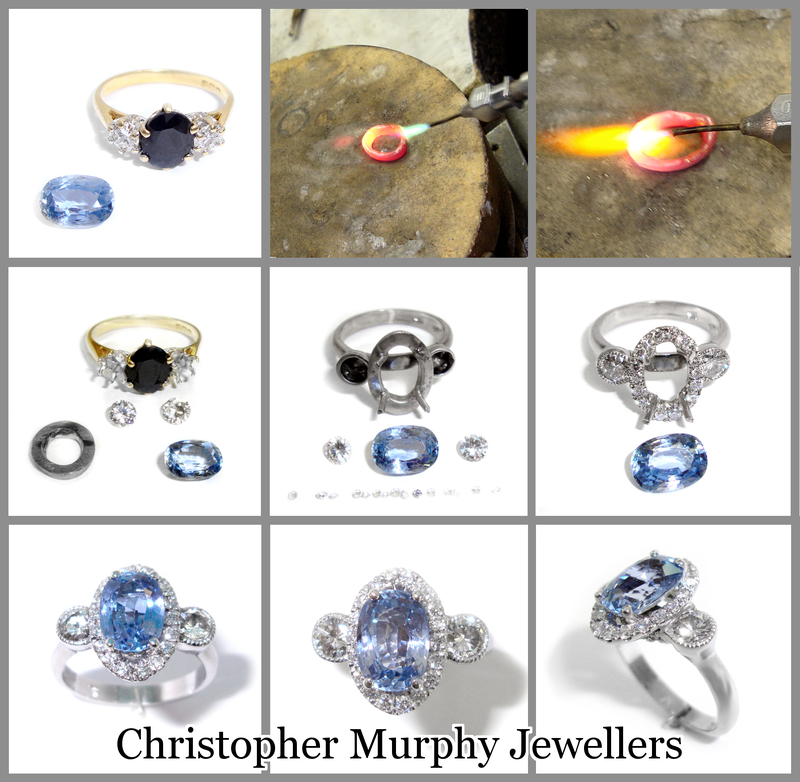 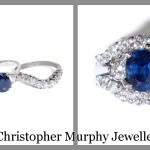 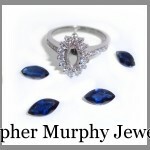 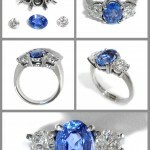 Making a diamond and sapphire engagement ring. 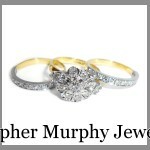 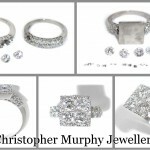 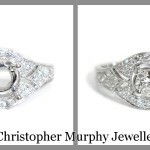 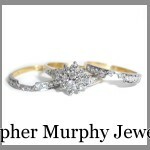 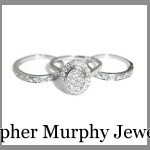 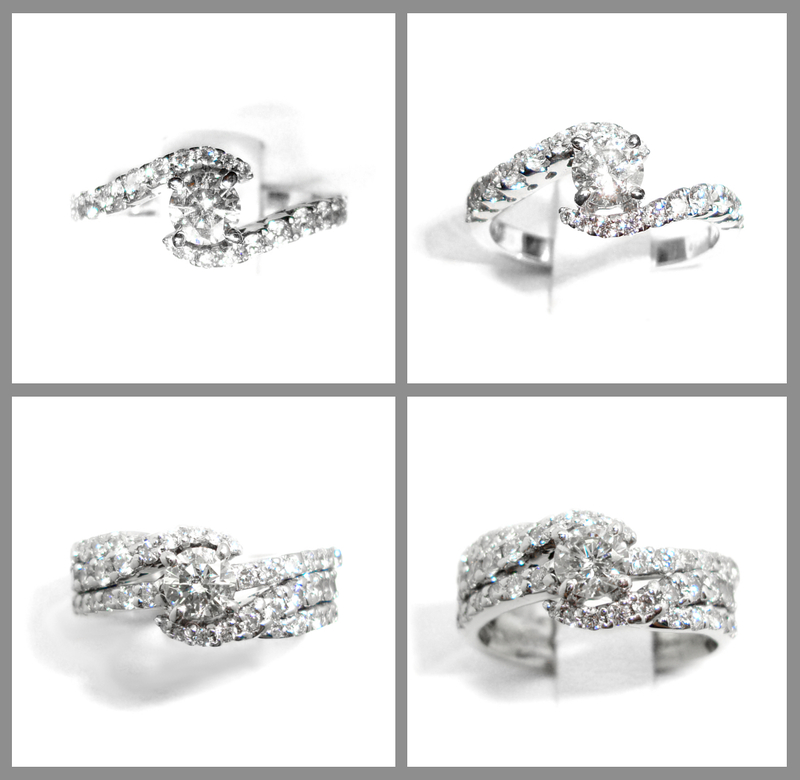 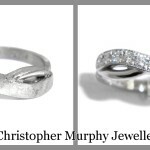 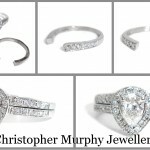 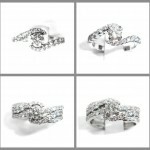 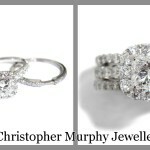 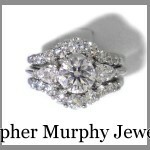 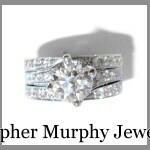 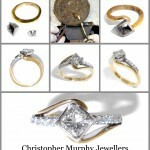 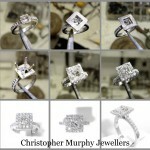 Making a diamond twist engagement ring & double wedding ring. 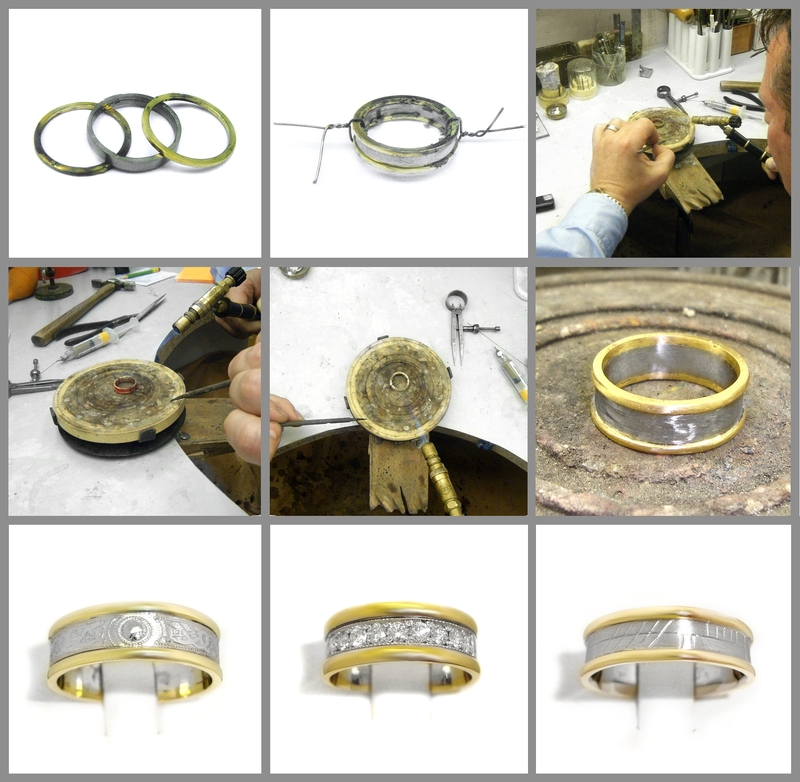 Making a hinged wedding ring. 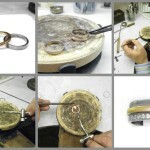 Making a three band rose and white gold diamond set ladies ring. 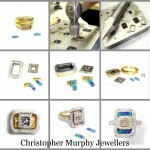 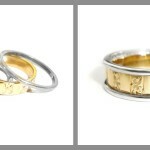 Making a template for a selection of different styles of rings. 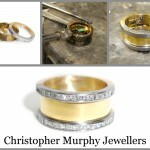 Double wedding ring made from original wedding band. 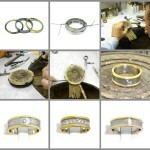 Making a diamond set double wedding ring. 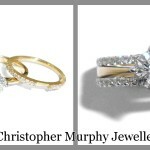 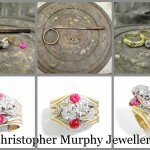 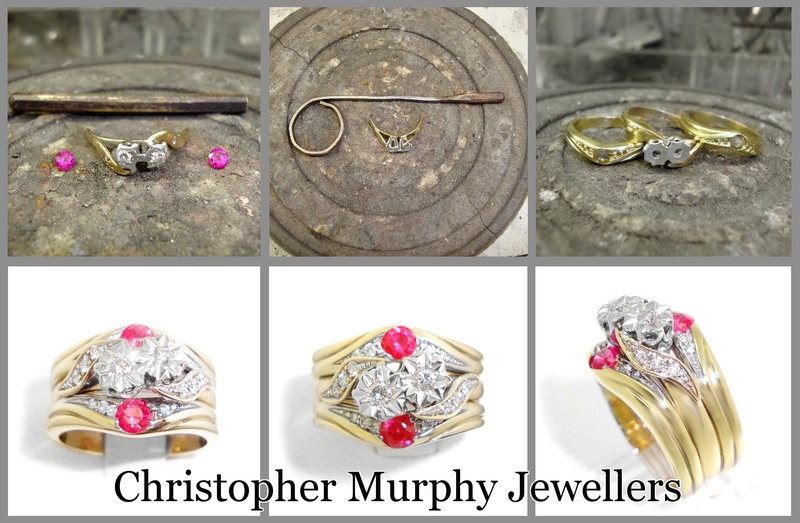 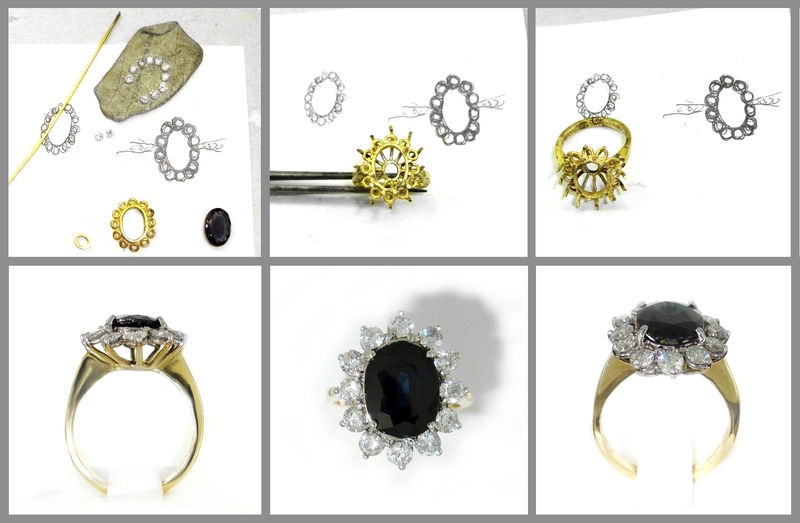 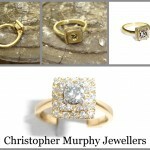 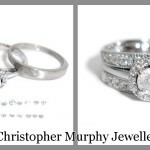 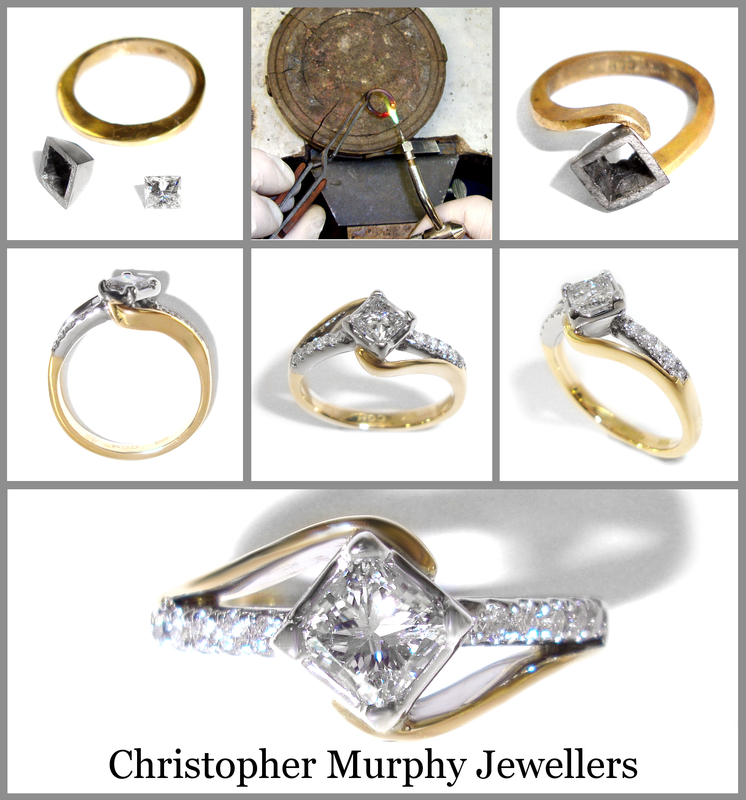 Making an engagement ring and matching double wedding ring. 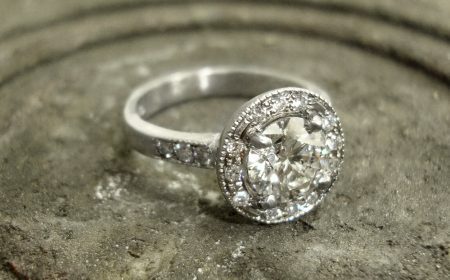 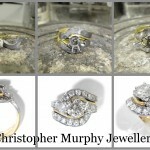 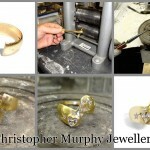 Making a raised shoulder diamond double wedding ring.